Hollins has been honored by the Arbor Day Foundation with the organization’s Tree Campus USA® designation, highlighting the university’s commitment to effective urban forest management and engaging students, faculty, and staff in conservation goals. 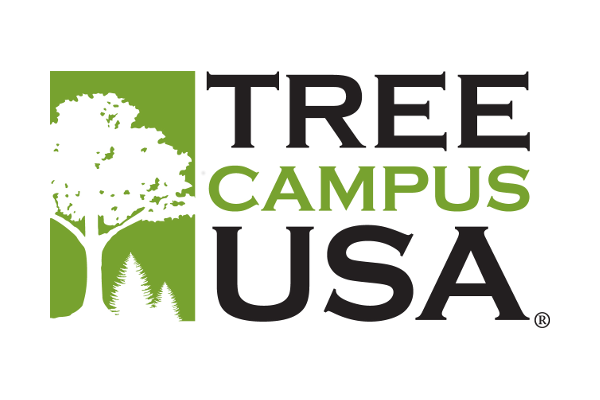 Hollins, which has now earned the designation in 2016, 2017, and 2018, meets Tree Campus USA’s five standards, which include maintaining a tree advisory committee, a campus tree care plan, dedicated annual expenditures for its campus tree program, an Arbor Day observance, and a student service-learning project. Currently there are 364 campuses across the United States with this recognition.